Home at Last provides services to older people seeking secure, affordable and appropriate housing. Home at Last aims to ensure older people have access to secure, affordable and appropriate housing that can be enjoyed for the rest of a person’s life. If you need help to attain this goal then we can assist. If you are looking for assistance accessing Aged Care please visit this page. Home at Last offers free and confidential advice, support and advocacy to older people who are homeless, at risk of homelessness, or are wanting to plan their housing future. Home at Last is available to any older person in Victoria on a low income with low assets. We will provide one-to-one assistance to you, or link you into a service that can help. "As I was walking along the river earlier this morning I realised that for the first time in ages I wasn't thinking about housing, housing, housing. I have finally come home,"
Call Home at Last on 1300 765 178 or drop in to our Housing Information Centre at 1st Floor, Ross House, 247-251 Flinders Lane, Melbourne. Our Centre is open 10am to 4pm Monday to Friday. 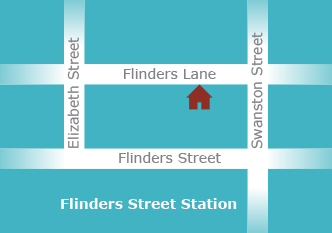 The Centre provides information on a range of housing options and housing rights. An appointment can be made to see one of our housing workers. Please understand that if you drop in we will aim to see you as soon as possible, but waiting times can sometimes be lengthy. HAAG's Retirement Housing Service provides information to anyone living in, or interested in Retirement Housing. See more about this specialist service here. Hear from previous Home at Last clients about their experience working with Home At Last and the outcomes they achieved.